Blueberries are perennial flowering plants of the Ericaceous family, known as Vaccinium Cyanococcus. The flower itself is typically bell-shaped and can be white, pale pink or red. The fruit is a deep, velvety purple with a fleshy characteristic. Blueberries are sweet and juicy and can be used in a wide variety of recipes from jams, sauces and smoothies to cakes, baked goods and other pastries. Aside from the tasty recipes that can come together using blueberries, they are medicinal in terms of having antibacterial and antiviral qualities. This succulent fruit packs quite the nutritional punch with its panel of plant nutrients that you need to know about. Did you know blueberries contain high concentrations of antioxidants helping your body fight free radicals that kill your cells and accelerate aging? 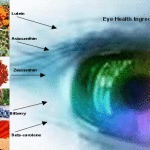 In fact, consumption of this natural medicine may even help protect your heart and brain health. 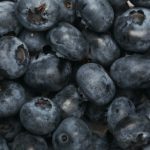 Blueberries possess the highest antioxidant capacity, bar none, when compared to other fruit, veggies and spices, according to The World’s Healthiest Foods website (whfoods.com). Eat them raw and optimize your health by giving your body the nutrients it needs to combat free radicals that damage your cellular structures right down to the DNA. In fact, according to PreventDisease.com, 300 grams (10.5 ounces) of blueberries puts up a strong fight against DNA damage to blood cells resulting from oxidative stress in humans. If this is the case, then consuming blueberries on a regular basis may just help one bypass the incresing risk of cardiovascular and other degenerative diseases. The phytochemical anthocyanin is present in substantial levels in blueberries. 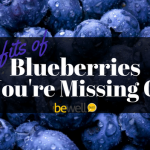 It is responsible for blueberries’ healing qualities involving inflammation reduction, blood pressure reduction and the overall improvement of health and longevity when consumed often. Due to the antioxidant properties of anthocyanins, good vision can be maintained and even bad vision reversed by preventing or slowing down visual loss and other age-related eye problems. Anthocyanin is just one of the potent antioxidants found in blueberries. You will be surprised to learn that consuming blueberries will increase your levels of vitamin A, vitamin B, vitamin C, copper, phosphorous, selenium, zinc and iron. These antioxidants make the blueberry the go-to for a quick, nutritious snack promoting health and well-being. For example, the copper helps build immunity by fighting bacteria and it’s required for the production of red blood cells; the zinc and iron will increase hemoglobin and oxygen in the blood to strengthen immunity. With all the antioxidants present in blueberries, neurological disorders can be prevented and healed as the degenerated neurons and brain cells are restored to health along with the central nervous system. Adequate intake of antioxidants such as those found in blueberries can benefit Alzheimer’s sufferers because blueberries heal deteriorating brain cells and tissues. This can work towards keeping the memory focused and sharp. Several factors make blueberries terrific for heart health, including the high fiber content along with the high level of antioxidants. 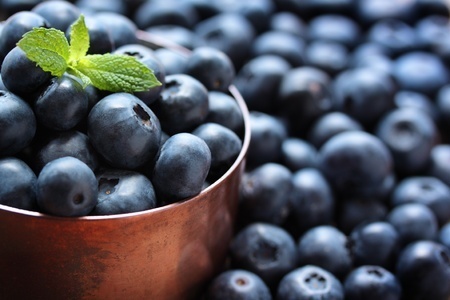 These factors help blueberries dissolve bad cholesterol and strengthen cardiac muscles. The fiber content in blueberries, if consumed by the handful, will help keep constipation at bay while the vitamins, minerals and acids help correct digestive difficulties. One such vitamin is the B-Complex Group of vitamins that includes folates, pantothenic acid, niacin pyridoxine, riboflavin and folic acid. Together these allow the body to metabolize carbs, protein and fats, ultimately promoting healthy digestion. Stay trim snacking on blueberries, as they are quite low in calories. Just under a half a cup is only 57 calories. 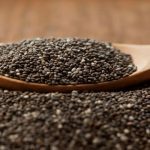 This is a much more health conscious choice than a processed food snack or baked good, which does not offer much in terms of nutrients. Studies have shown there isn’t any damage to the antioxidant content when blueberries are frozen. When frozen for 36 months, researchers learned the antioxidant’s overall power was not lost. This is fantastic news for those who may have difficulty getting their hands on fresh blueberries and typically buy them frozen. 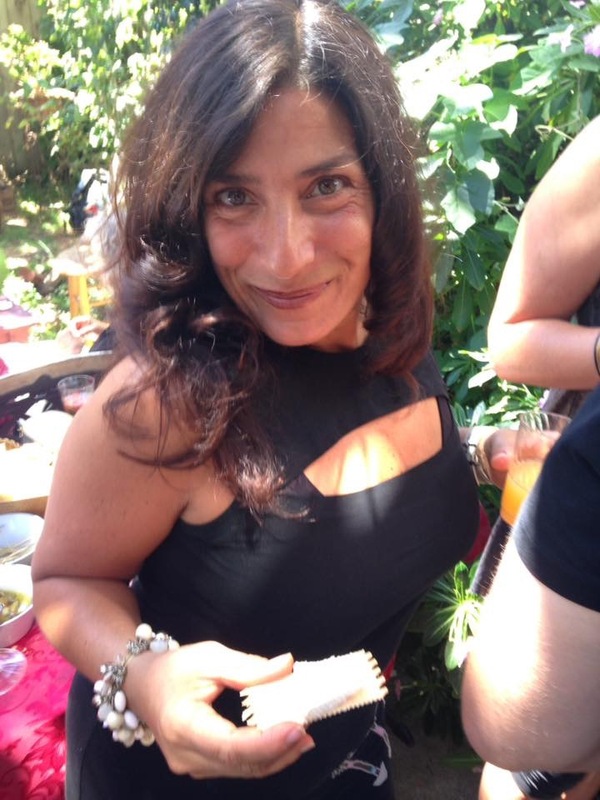 I love organic food and pursue an eco-friendly lifestyle. So I suggest using certified organic ingredients to maximize flavors and nutrition while minimizing your risk of exposure to pesticides, chemicals and preservatives. In the case of blueberries it’s best to use the organic varieties as the conventional ones are high in pesticides, according to the Environmental Working Group’s Dirty Dozen list. This recipe uses 1.5 cups of frozen blueberries, 1 frozen banana, ½ cup of Strauss Organic vanilla yogurt, 2 cups water and 1 cup of crushed ice. Combine ingredients in your blender to desired consistency, then and enjoy a frozen treat packed with antioxidants and nutrients. This same recipe can be used to make blueberry banana frozen ice by pouring into ice cube trays and freezing. This recipe calls for 1 ¾ cups of flour. (I like a combination of almond, amaranth and quinoa flour in equal portions.) Then this is combined with ¼ cup of whole oats, 1 teaspoon baking soda, ½ teaspoon salt, ½ cup coconut oil, 3 ripe bananas, 1/3 cup of coconut sugar, 2 large eggs, 1/3 cup of almond milk, a dash of vanilla extract and 1 ½ cup of frozen blueberries. For this dish, combine 2 well-beaten eggs with 1 cup of buttermilk, 2 tablespoons of vegetable oil, 1 stick of melted butter, 1 cup of your choice of gluten-free flour (such as brown rice flour or quinoa and amaranth flour), ¼ cup of ground flaxseed, 3 teaspoons of baking powder, 1/3 cup of honey, 2 cups of blueberries, 3 mashed up bananas and a nice pinch of cinnamon. Layer your favorite oatmeal and yogurt with fresh or frozen blueberries. Top with hemp, chia or sunflower seeds, drizzle with honey and dig in! Boil 3 cups of blueberries with some maple syrup. Mash the blueberries and boil down to your favorite texture, about 15 minutes. Stir often so it does not stick. Once you have achieved your desired consistency, remove from heat, let cool and add ½ teaspoon of vanilla extract. This can be spread on muffins, toast, tarts, cookies and more. 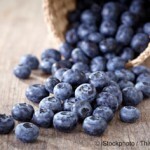 You are here: Home / Contributor / What Makes Blueberries So Healthy?